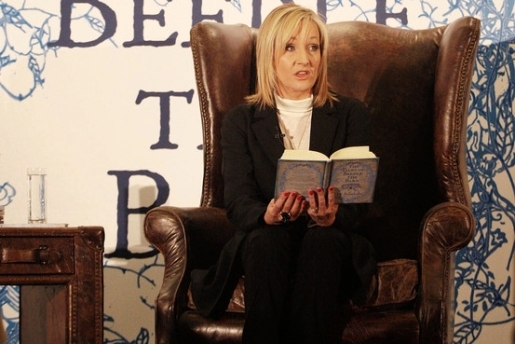 J.K. Rowling's next book will be for the grown-ups. The Harry Potter universe is, for now, concluded. No more new movies, no more new books, just Pottermore and the Wizarding World of Harry Potter to concentrate your love on… until now. The mind behind the Harry Potter world, JK Rowling, has written her first post-Potter novel, and the details are finally starting to come out. JK Rowling has penned The Casual Vacancy, and it is due out September 27. JK Rowling writing a book for adults makes sense, given the age of the average Harry Potter fan. The plot details are pretty vague, but not uninteresting. I’m not the type to camp out for a book, so that’s not happening, but when it finally hits paperback I’ll probably check it out.